Bourne Car & Van Hire are your local independent brakes specialist, and we have been supplying and fitting car brakes to the Bourne and surrounding areas for some years. We are proud to offer an extensive brake maintenance and repair service diagnosing and checking any faults and performing remedial work where needed. 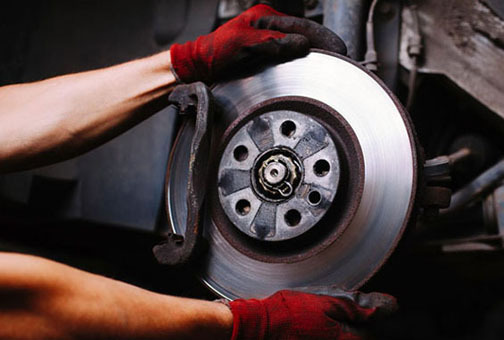 Whether it be a new braking system, brake pads or brake discs, we offer a highly competitive and professional service. All of our technicians are trained to the highest industry standards, and complete customer satisfaction is guaranteed. We are also able to perform repairs, service and replace brake systems from all the major car manufacturers. Your vehicle’s brakes are a vital part of your car and enable safe motoring and allow confidence in yourself, your passengers and other road users. It is significantly important that you make sure your braking system is well maintained regularly and efficiently functioning as the slightest problem can have severe consequences on your overall stopping time putting your safety and your vehicle at risk. Not only will your safety be ensured but you may also prevent any future damage from occurring which could significantly reduce expensive repair costs. Are your brakes fully operational? We value the safety of all our customers, so if you are experiencing any of the problems listed above, with your braking system, we strongly urge you to call the experts here at Bourne Car & Van Hire to enable us to carry out a thorough inspection. During the full braking inspection, we will test the condition of the whole braking system, we will also remove your wheels, and if need be we will adjust your vehicle’s handbrake, and your brake fluid will be topped up in necessary. Whether you just need a quick service to get your brake system efficiently running again, the pads replacing or the calipers or shoes changing then we can help you. To receive a professional and highly competitive quotation, then please contact Bourne Car & Van Hire on 01778 393 888, and we will get your vehicle booked in at a time convenient to you.